now available at the Hillocrian Store. Hillocrian Creative LLC, publisher of Fair Housing Helper for Apartment Professionals, today announced the launch of the Hillocrian Store. 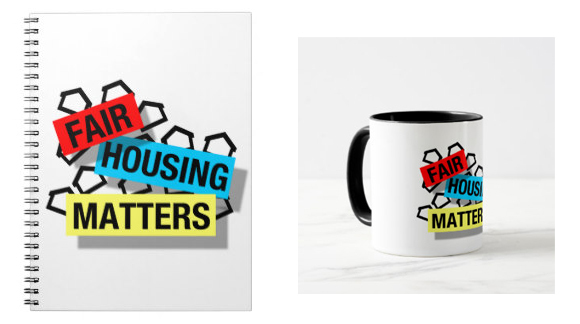 Coinciding with Fair Housing Month, the store's debut product line, "Fair Housing Matters," pays tribute to the hard-fought civil right that protects people across the United States from housing discrimination. 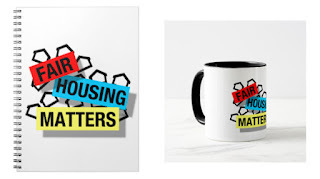 Fair Housing Matters products let you show your support for housing equality beyond Fair Housing Month and can make the perfect gift for a friend, family member or co-worker. Check out the press release on the Hillocrian Blog for more information. Visit the Hillocrian Store today to view the entire product line. 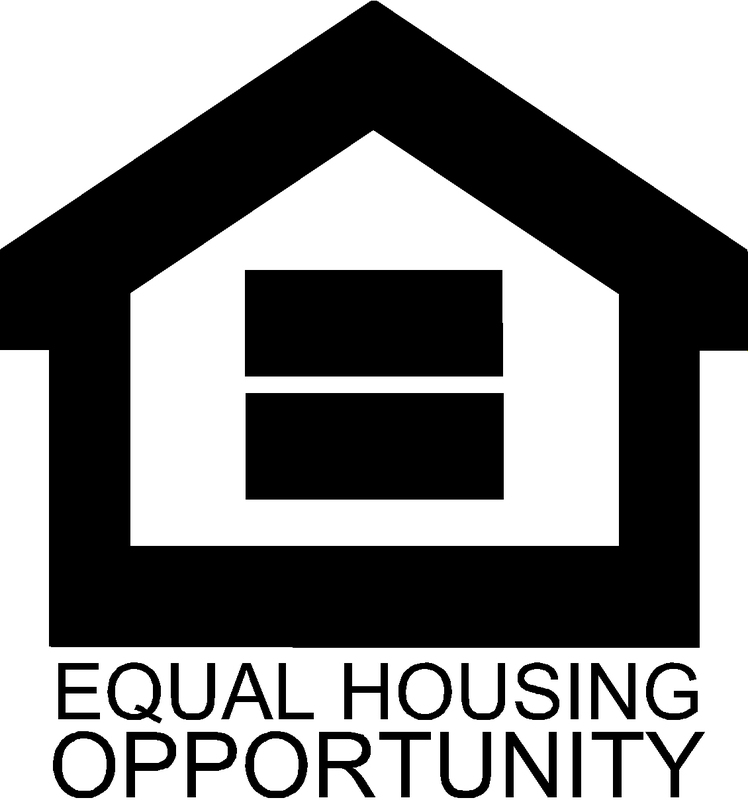 Each year, the National Fair Housing Alliance (NFHA) issues a report based on its collection of housing discrimination data from across the United States in the prior year. Yesterday, the NFHA released its new 2017 Fair Housing Trends Report: The Case for Fair Housing. Highlighting the past year's patterns, trends and challenges, the timely report is a must-read for Fair Housing Month. The report notes that an estimated four-million-plus instances of housing discrimination occur annually. However, the number of fair housing complaints actually filed in 2016 totaled 28,181, a slight increase from 2015. Disability-based discrimination continued to account for the majority (55%) of all complaints, while race-based discrimination was the second-most common type (19.6%). Overall, fair housing complaints concerning rental transactions continued an upward trend, now accounting for 91.5% of total complaints. The comprehensive report includes many more findings, data, and thoughtful analysis, including a discussion of fair housing issues with online services such as Facebook and Airbnb. The report also offers recommendations for eliminating housing discrimination, strengthening fair housing enforcement, and expanding access to opportunity. Read the entire report courtesy of the NFHA. Do You Know What Happened 49 Years Ago Today? 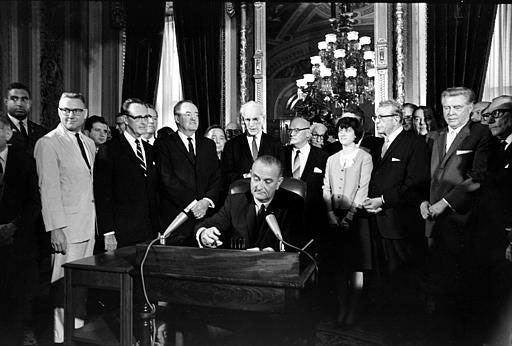 Did you know that 49 years ago today, President Lyndon B. Johnson signed the Civil Rights Act of 1968 into law? Title VIII of this landmark piece of legislation, also known as the Fair Housing Act (FHA), has served as the primary vehicle through which to seek redress for housing discrimination across the United States. The FHA was signed into law exactly one week after the assassination of Dr. Martin Luther King, Jr.
President Johnson signs the Civil Rights Act of 1968 into law on April 11, 1968. Image courtesy of the U.S. Department of Housing and Urban Development. The path toward adopting comprehensive, enforceable anti-discrimination housing legislation was a hard-fought battle that spanned several generations. 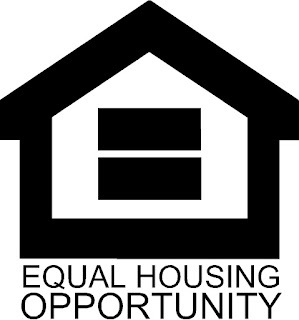 Take a moment to remember this landmark day in civil rights and housing by reading a "History of Fair Housing," courtesy of the U.S. Department of Housing and Urban Development (HUD).